There isn’t any question that storytelling in marketing is the true backbone of creating emotion in the viewer. We’ve seen so many great examples of this over the last several years as companies realize an emotional narrative attracts viewers. Applying 360-degree video marketing plays a big part in enhancing storytelling, and it’s already happening in various high-end campaigns. From television to the web, you’ll see many examples demonstrating the way storytelling and 360 video technology enable a perfect setup for real-time emotion. While still in growth stage, you’re seeing just the beginning in how 360-degree marketing videos bring new ways to market your own products. Now you can prove value, as well as offering a “you are there” approach. In visual industries, it pays to use 360-degree video to give customers a stronger sense of reality about what they might buy or experience. The travel industry has already gone into 360-degree video technology for helping customers set up travel plans. Since many travelers prefer engaging with videos, those working in travel already have a strong opportunity to use a 360-degree format. Consider how much you can showcase with this technology, especially when used with VR headsets. When people book vacations, they’ll be able to experience an immersive preview of a particular location for smart booking decisions. If this works well for travel and other visual locations, how can 360-degree video work for individual products? Recent evidence shows 6% of all North American marketers now use 360-degree videos for marketing purposes. This proves it’s still a growing field, though it’s important to see how it’s working in other categories beyond travel. Lifestyle marketing is one place where this video technology works well. Since lifestyle products are all about engaging viewers with storytelling, it’s ready-made for 360-degree experiences. Apparel companies like The North Face managed to incorporate 360 video showing athletes testing their clothing during expeditions. The company gave a spectacular new angle on how lifestyle products can still get showcased in an immersive video while sending a compelling message. Here you have proof in how products become part of a 360-degree story to expand on their role in solving problems. It’s not to say you can’t showcase your products through the same format in a different way. Sometimes you may want to showcase new products in a trade show setting. However, it’s not always possible for your targeted leads to visit your trade show. Marketing a 360 degree video of your brand event is another great way to showcase how important your product is in a realistic way. Providing a live 360 experience on mobile enables anyone to see your product and witness your demonstrations for realism. What makes this work even better is when you connect a 360 video with interactivity on social media to create real-time conversation. The more conversation you create during live viewings, the more buzz you’ll create for your upcoming product release. 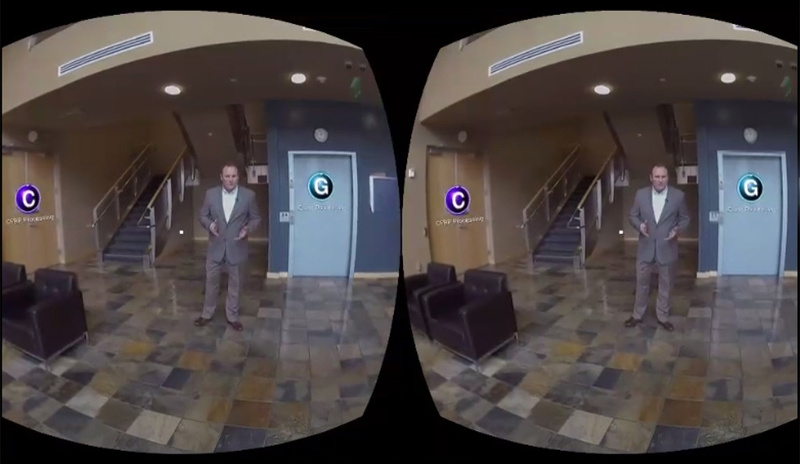 Creating interactive 360-degree video apps can open a wide opportunity for your company to connect with people around the world. Live-streaming these videos enables you to quickly build an international audience in mere hours. Adding other interactive elements like letting the viewer control where the camera goes gives power to audiences to let them see what they want to see. Giving them technological control sends a strong message you’re creating a more personalized marketing experience. Contact me to find out how we can create a 360-degree or VR video production for your corporation’s marketing event. We also design 360 videos for training purposes.